This is my new Mig 1.44 or Rafale with twin rudders. 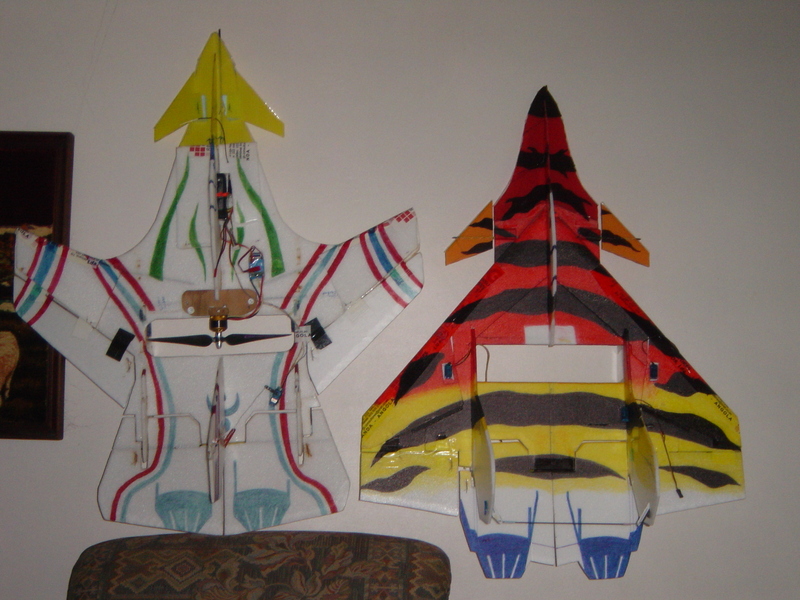 It has functional canards mixed with the elevator channel and four servos. The elevators and ailerons are linked together (like elevons). 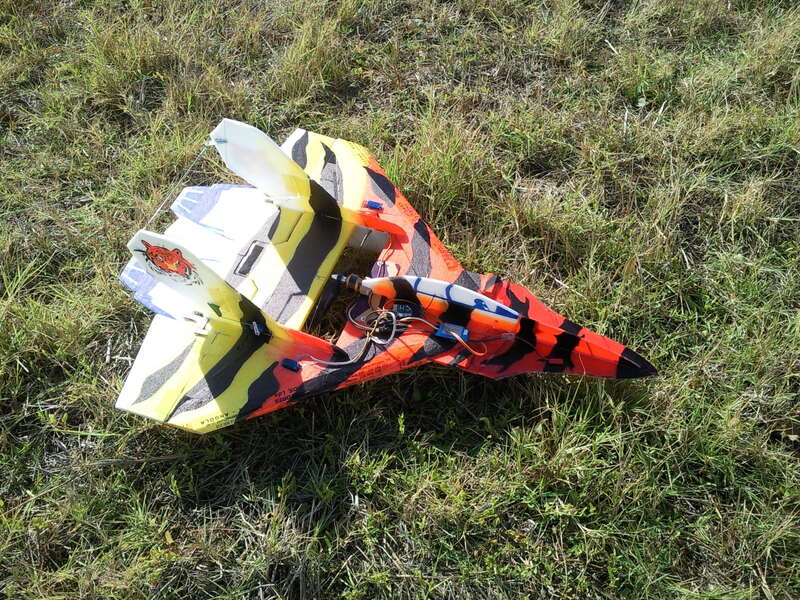 This airplane can maneuver like a 3D airplane, and it can also be very fast or very slow (canard mixing help a lot). 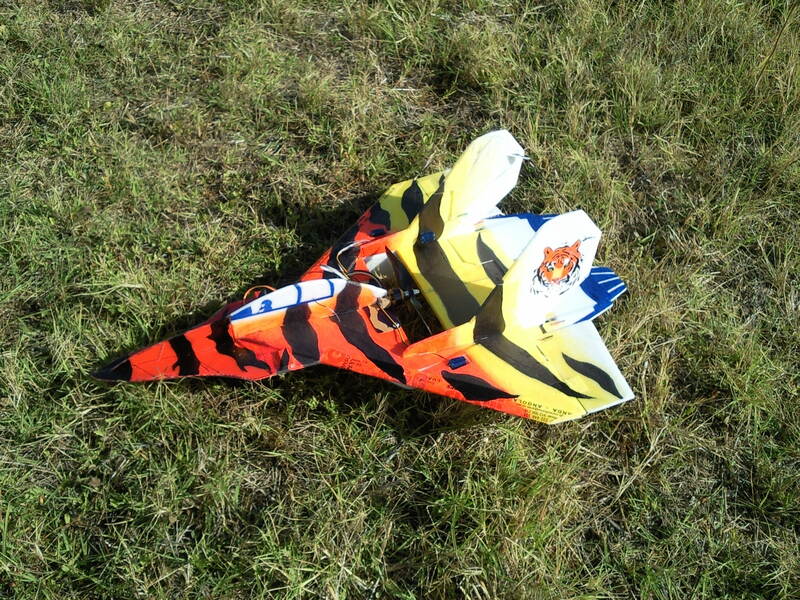 It has a simple way of vectorial thrust, like some of other pusher planes. It does almost any 3D manoeuvre that you can think of, with a very good vertical performance. And, of course, it is also very forgiven and stable if you want to. Most of the times, I catch it by hand on landings. 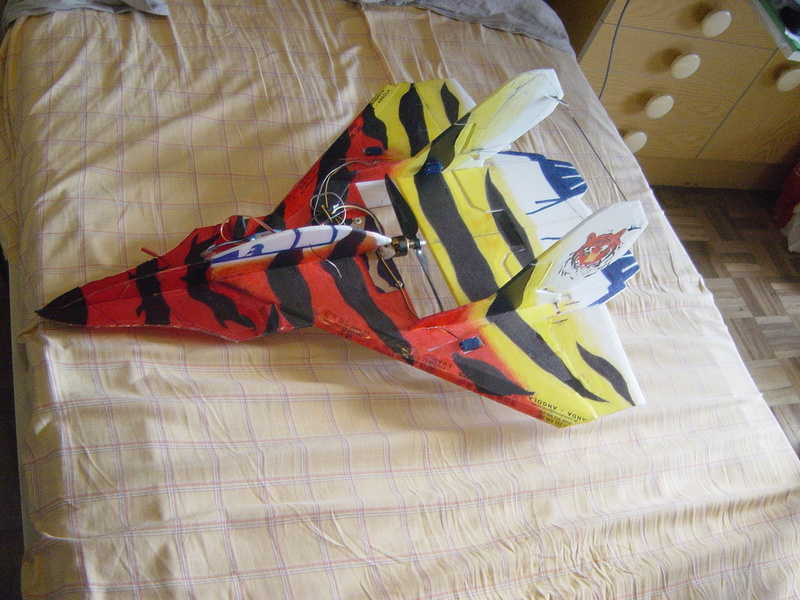 It has KF airfoil number 4 (symmetrical 6mm up and down - Acro) for aerobatics. Like you can see it works great!! The power system is the great secret for good low speed and high speed performance. Speed controller: Jeti 8A (yes; just only 8 Amps, but this is more than enough. With this power system I can maximize my flight times around 9 minutes with 3D and Acro performance or 12 minutes plus with gentle use of the throttle stick (this is, if you can control yourself with this kind of bird ). The ailerons and the elevators are linked together by one carbon tube. 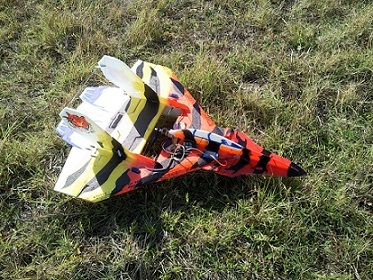 The canards are mixed together with the elevator channel for slow flight and high angles of attack. Weight: 350 grams or ~ 12,5 oz to ~ 13,5 oz range. Ready to fly (with this set up and battery). The front part is made of red ‘polypropylene’ that makes it almost, and I say ALMOST, indestructible. The canards are made of thin (2 mm or, approximately, 1/10 of an inch) orange ‘polypropylene’. I hope that this brief description helps. 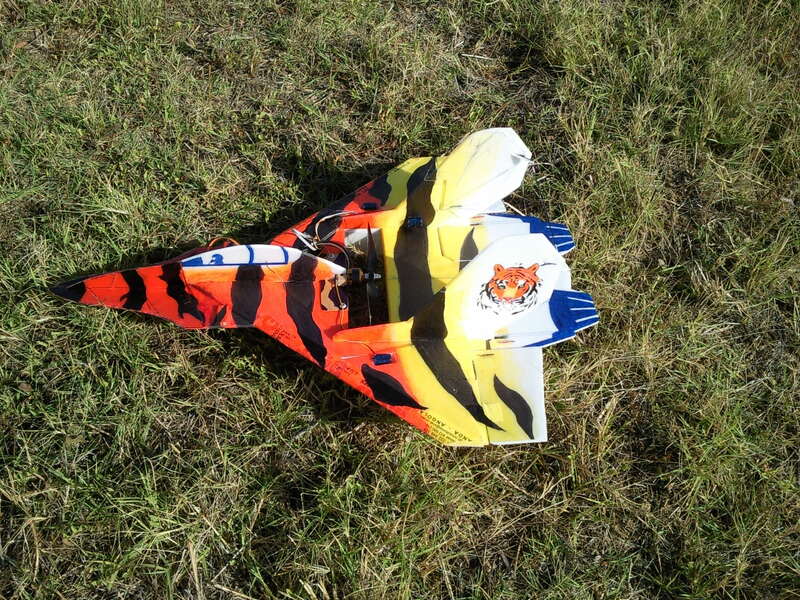 It looks great in the air with this painting scheme (tiger camouflage) and it’s guaranteed that you’ll receive all the attention of other RC fellow pilots! Follow your dreams and fly like there is no tomorrow! . Happy flights and happy landings! Thats not a plane thats an airborne drill bit you have that set up nice. It looks seriously agile and locked in. I would LOVE to be in FPV for a ride in that to see what that kind of agility looks like. ... And it is small enough, so you can take it in your car for that evening flight during the holiday season!